Online registration is now closed! See you tomorrow! You can register the day of at Long Lake Beach starting at 10:00 AM. 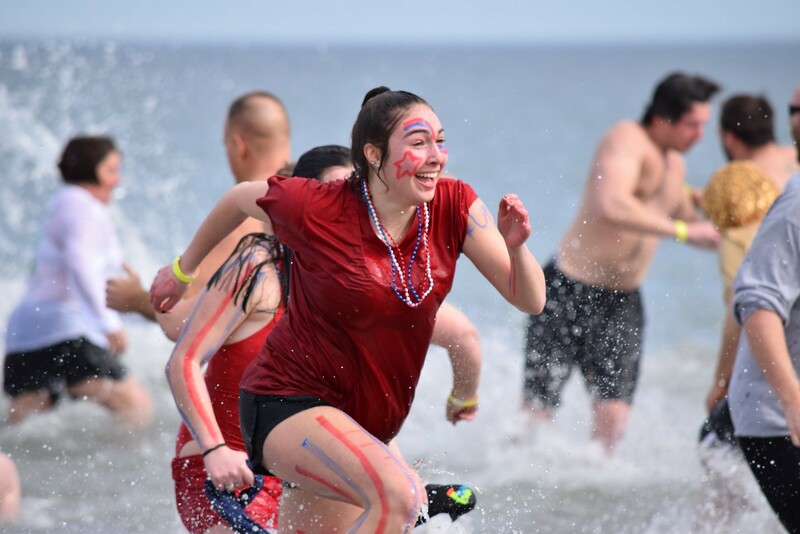 Are you ready to take the 6th annual Littleton Polar Plunge into the freezing cold Long Lake on April 6th of 2019? YES? Well grab your friends and family, put on your silliest winter gear, fundraise at least $100, and do some jumping jacks right before taking the Plunge! Commit to jumping into the icy, cold lake water this winter and you'll be committing to help provide nearly 13,000 athletes with an opportunity to participate in sporting events that help them live a longer, happier, healthier life through sports programs. $100 is the minimum fundraising amount to take the Plunge and get the 2019 Plunge t-shirt. However, you are always encouraged to raise more! Who doesn't love some friendly competition? Grab your local fire department and police department for some friendly competition. Will it be town VS. town or police VS. fire? You decide, and then fundraise to beat out the other teams! Last year Bedford Police and Fire raised over $1800- will they stay as top fundraisers or will you beat them out in 2019? Check out our fundraising guide for ways on how you can succeed in fundraising!